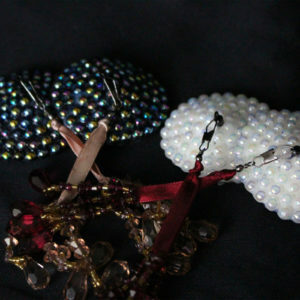 Cruel Valentine’s Rhinestone Pasties are made to order in your choice of size and whole spectrum of brilliant colors. 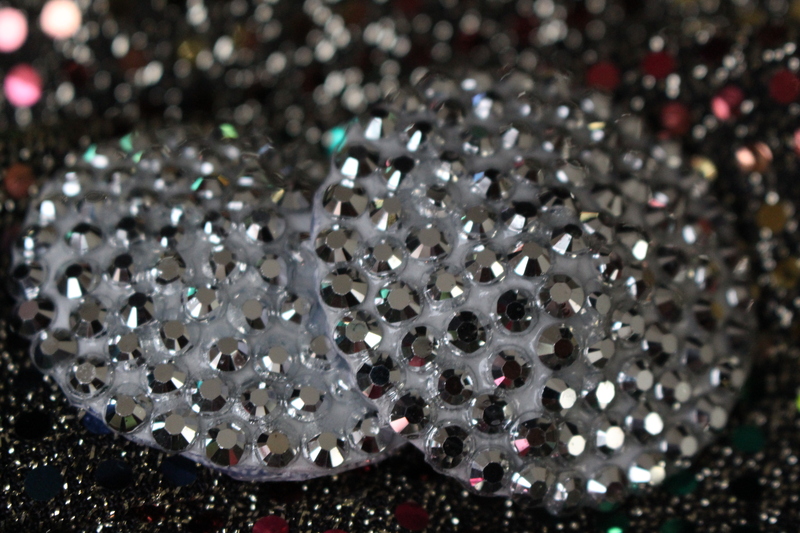 They are created with high shine resin and acrylic rhinestones to give you maximum sparkle both onstage and off. These pasties also feature a sturdy buckram backing, to guarantee optimal adhesion and a long life for your pasties, even for the most active and adventurous of wearers. Want to jazz things up even more? 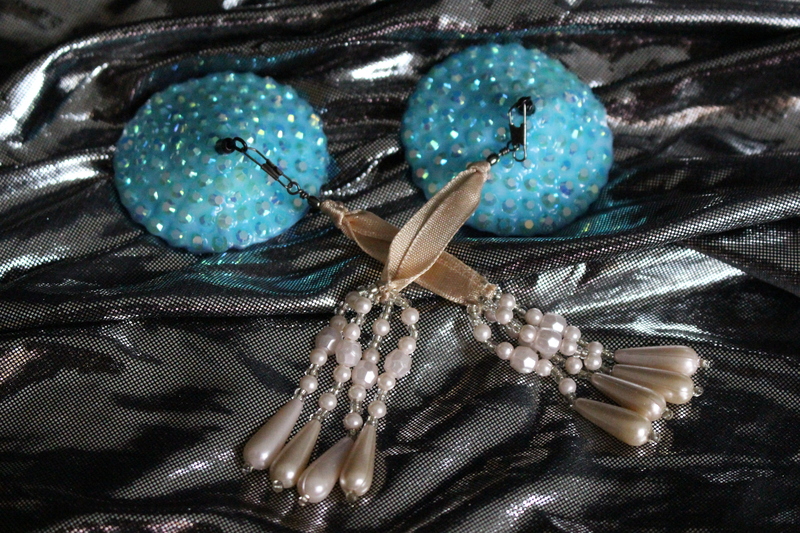 For no additional cost, your pasties can be made to include swivel tassel mounts. 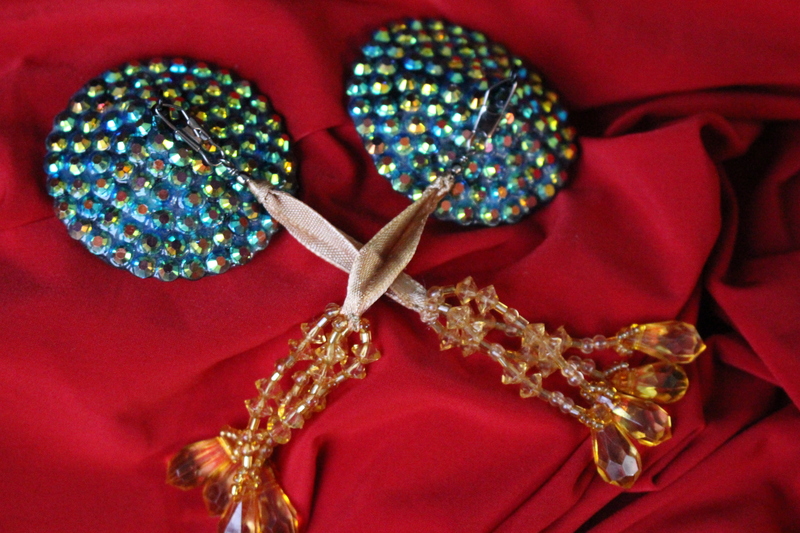 These special mounts allow you the freedom to wear your pasties with or without tassels, and their free-spinning design helps you twirl your tassels a full, smooth 360 degrees effortlessly. 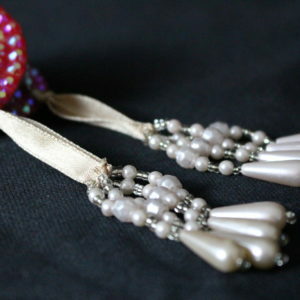 Cruel Valentine’s signature clip on tassels are sold separately, so make sure to add some to your cart! Cruel Valentine’s pasties are made to order. Please allow 5 to 7 business days for construction, and take into consideration the shipping times below when placing your order. USA USPS First Class Shipping: 3 to 4 business days after item construction is completed. International USPS First Class Shipping: 2 to 8 weeks after item construction is completed, depending on your country’s customs process. Rush orders and additional shipping options are available on a case by case basis, for an additional fee. Please contact Cruel Valentine before placing your order, and your request will be accommodated if at all possible. For more information, please check out the shop’s Frequently Asked Questions page, or contact Cruel Valentine!